Three trucks were set alight on Thursday night on the R76 road in Steynsrus in the Free State. This as service delivery protests continue throughout the country. One truck driver was slightly injured as he was hit on the head with a stone, allegedly by protesters at Steynsrus. Community members also helped themselves to chicken that was being transported to Durban in one of the trucks. Another truck that burnt down was transporting manganese from Kuruman to Durban. Steynsrus which falls under the Moqhaka local municipality in Kroonstad experienced service delivery protest late on Thursday night. Trucks drivers were forced to abandon their vehicles before they found refuge at the local police station. One of the trucks was also used to block the road before it was set alight. Police are continuing to monitor the area. More than 60 protesters were arrested on Thursday for public violence and are expected to appear in court soon. Meanwhile, protestors have been warned that action will be taken against them if the ongoing protests nationwide continue on Election Day. Ministers in the Justice Crime Prevention and Security cluster briefed the media in Pretoria on government’s plans to ensure safe and fair elections. The Minister of State Security, Dipuo Letsatsi-Duba, says they are aware of the recent spark in service delivery protests and shutdowns that remain a concern. She says they will not hesitate to act against those responsible for the protests. “We have noticed that the service delivery protests they escalate and in most cases there are genuine concerns of the community, but there’s this other element of criminality. We must emphasize that we are not going to tolerate any criminality, hiding behind genuine community protests. That we are not going to tolerate. People will be arrested immediately,” says Letsatsi-Duba. 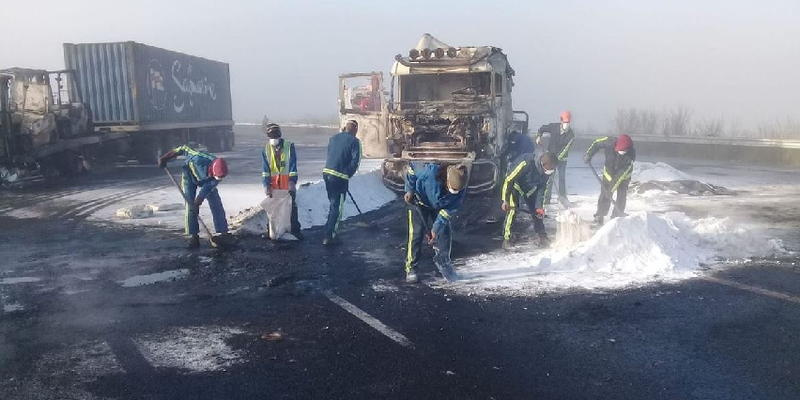 The post Three trucks set alight in Free State amid service delivery protests appeared first on SABC News – Breaking news, special reports, world, business, sport coverage of all South African current events. Africa's news leader..